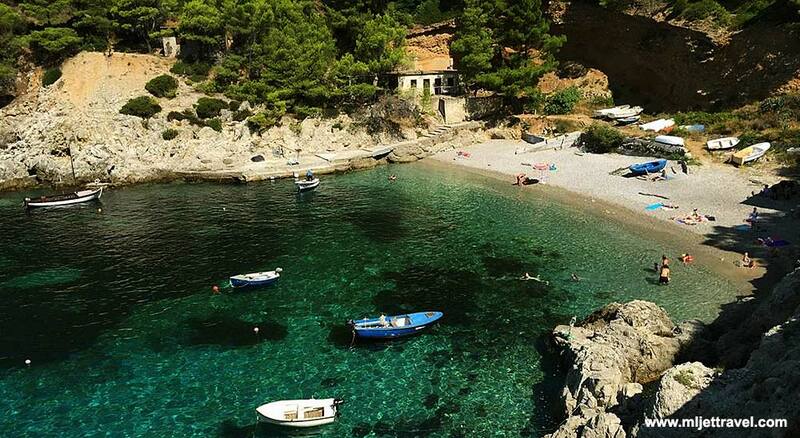 Situated on the southern shore of Mljet Island, Sutmiholjska is a tiny, deep bay that features lovely pebble beach suitable for children and families. The bay is located outside the National Park, between villages Ropa and Babino Polje. The 3 km road to the beach leads from Babino Polje with no direct road connection to Rope. 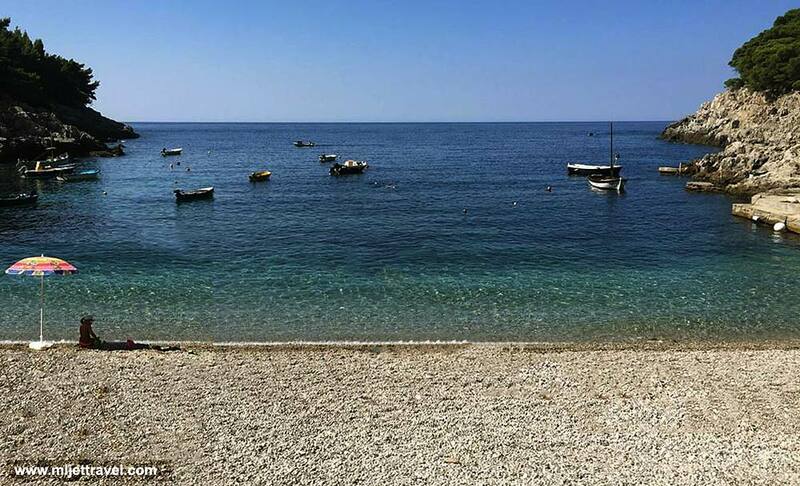 There are no public transports to the beach, so you would need to use local bus from Pomena to Sobra, stopping in Babino Polje and from there to take a taxi or rent a scooter to the beach. Facilities in the bay include a small restaurant, cafe, basic corner shop and rental agency. Facing south, the beach is sunny all day long while in the late afternoons, there is some shade in the western part of the bay.